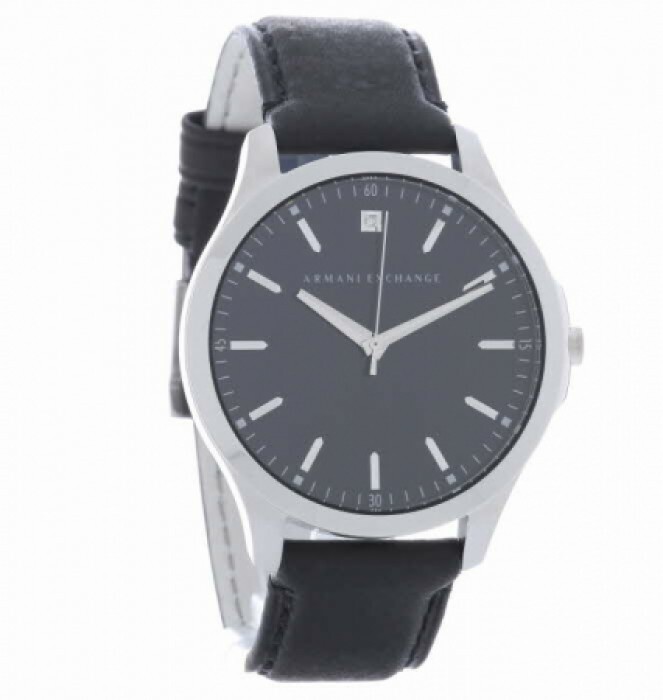 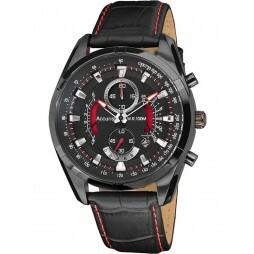 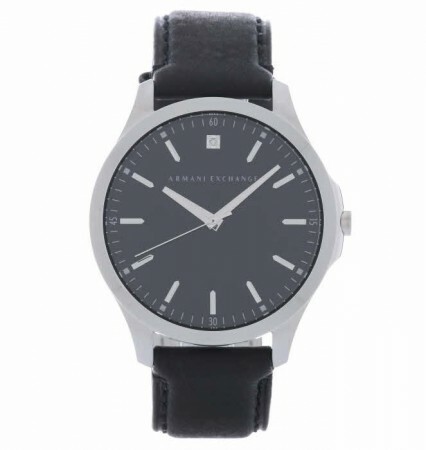 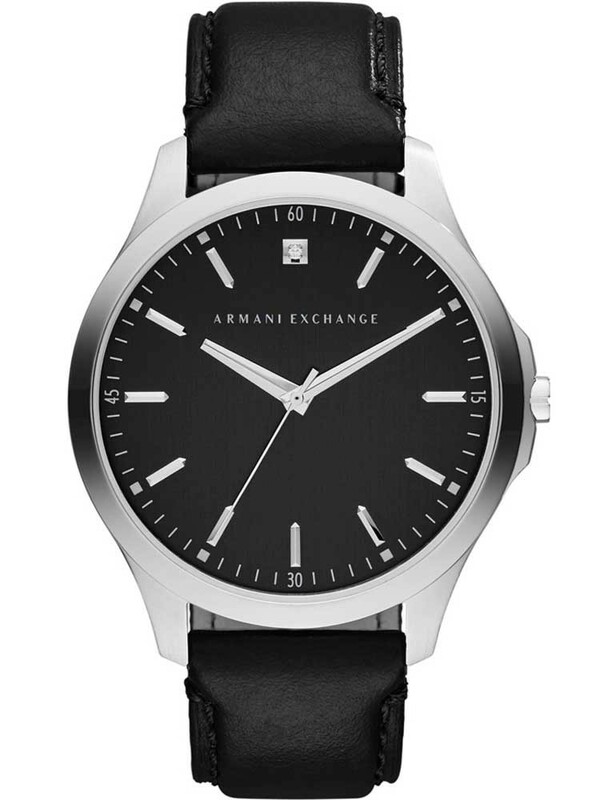 A suave Armani Exchange strap watch perfect for business and pleasure. 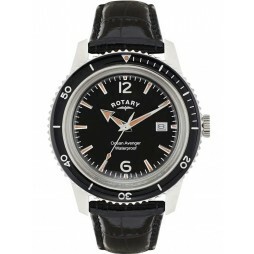 The sumptuous stainless steel case houses a round black dial, featuring baton hour markers, fancy hands and a stone set 12 oclock. 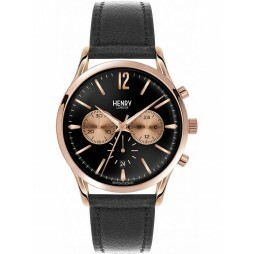 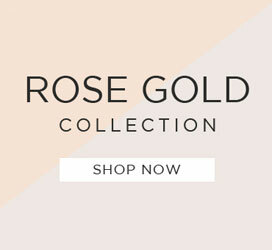 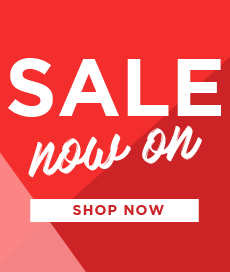 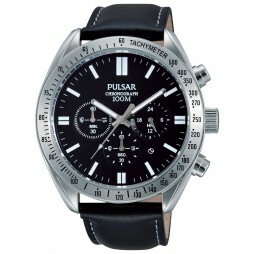 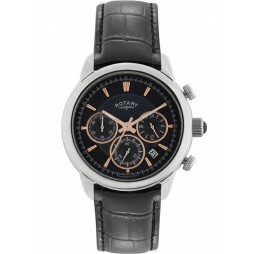 Complete with a smooth black leather strap and traditional buckle closure for a secure and comfortable fit.